Throughout the history of the motorcycle, nothing is more rare than this motorcycle. Well, a Traub motorcycle was produced in 1916, now on display at the Wheels Through Time Museum, USA. The motorcycle history is very unique, including the time of the discovery. 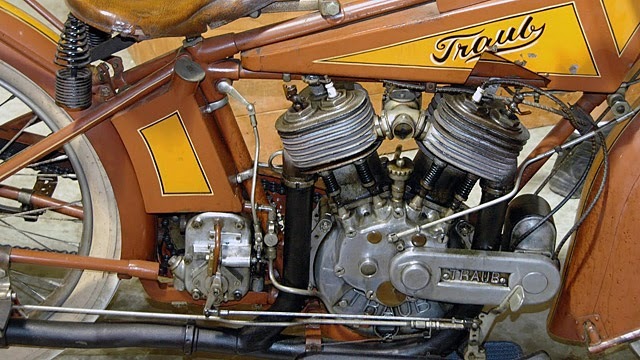 At 45 years ago, when the motorcycle was discovered by a worker in an old apartment in Paulina Street, Chicago, when he will knock down one of the walls of the building. Not mistaken, when the wall collapsed, and the figure of this old bike saw. An elderly, the old apartment building owner claimed that her son had stolen a motorcycle before he went to participate in World War I, and never came back since then the possibility he was killed in the war. But who makes and where was the motorcycle coming from, the elderly did not know about it and until now the mystery has not been revealed. When cleaned, known then the engine is very powerful. 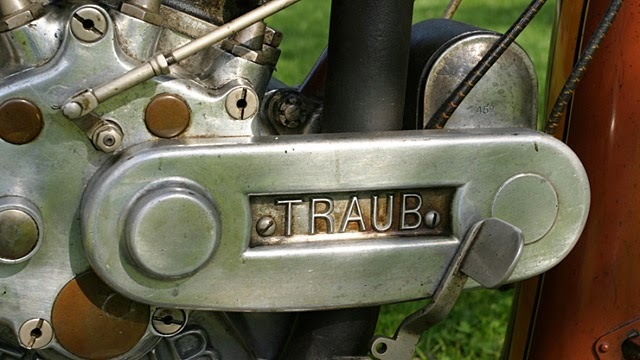 These 1916 Traub motorcycle is equipped with the 80 cubic-inch side valve engine, handmade piston with the best piston ring and most advanced of its time. Everything inside the bike is very special and extraordinary. Motorcycle piston is handmade, and has a piston ring with good quality, the design of the motorcycle and its engine is most advanced of its time," said Dale Walksler, one of the classic motorcycle expert and also manager of the museum, as quoted from Leatherup blog, on Thursday, August 28, 2015. 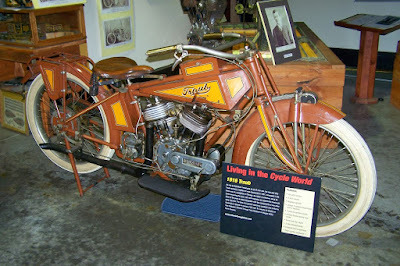 Not only that, the bike is made of cast iron and has a side valve. With the power generated by the engine, making this bike is capable of carrying its riders ran over 136 kph easily. 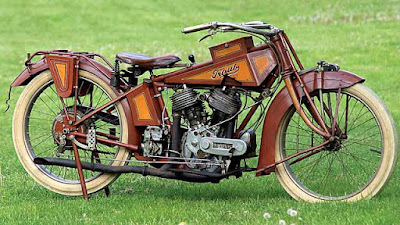 Unfortunately, until now, who was built these sophisticated motorcycle is still a mystery. From several sources that we had managed to collect, it is likely that built those bike is Gottlieb Richard Traub (1883-1954) of Chicago. 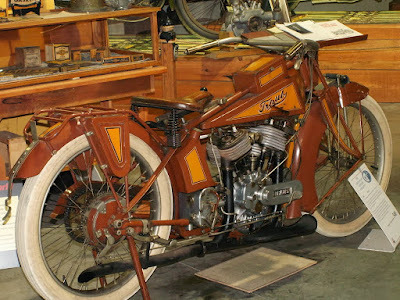 He was not just a talented machinist who lived in Chicago from at least 1900 to 1920, but he was also very interested in motorcycles. 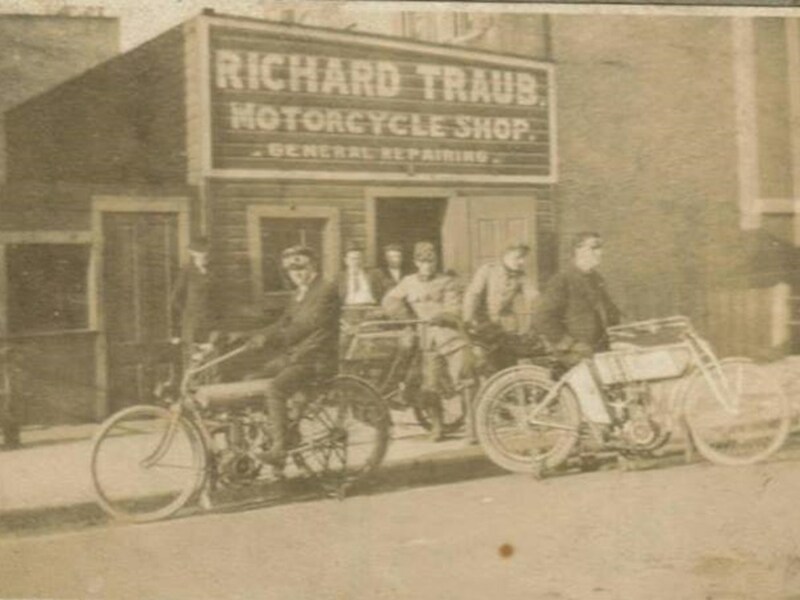 He was interested enough in motorcycles to have his own shop, as seen in the picture, and he wrote letters to the editor of Motorcycle Illustrated in both 1907 and 1910. in one of the letters to the editor he describes a motorcycle he was building that matches the 1916 Traub’s specs..